Yogi Aaron is from Vancouver Canada and has been teaching yoga for over 25 years. He now owns a yoga retreat in Costa Rica called Blue Osa and has invited me to come. Anyone else want to join me? Friends, from the beginning of the podcast I had an intention to bring you not only incredible guest stories but interviews with experts who can enrich our lives with practical application of their field. I am so excited to bring you our first one today. 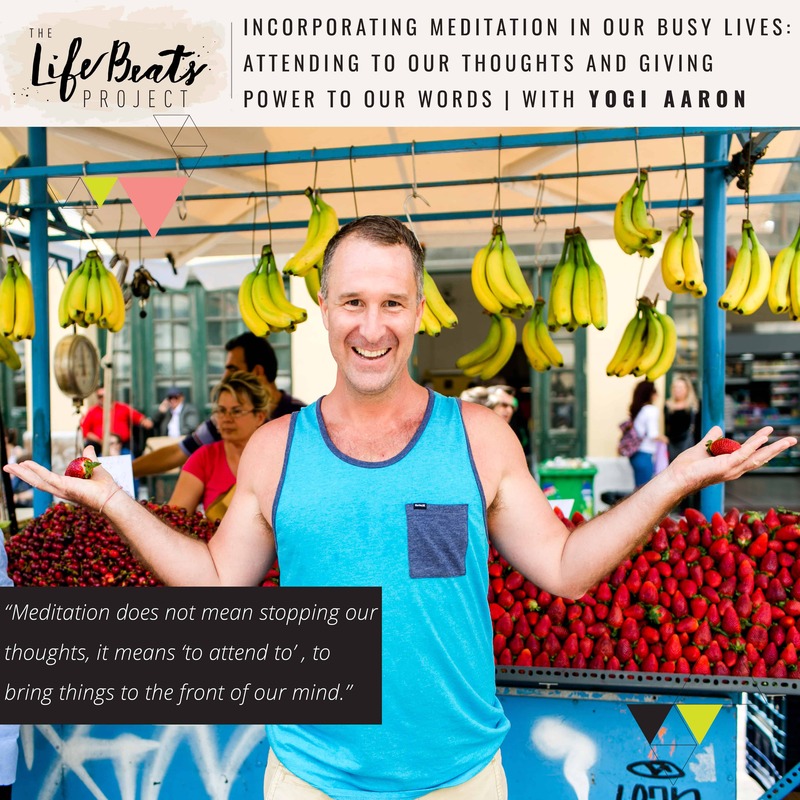 Yogi Aaron shares teachings rooted in manta yoga, the yoga and science of sound, including the power of our words and the ripple effect the words we choose cause, the practice of silence and how that allows us to examine our words. He explores one definition of the word ‘meditate’ meaning ‘to attend to’ and how meditating allows us to bring the the forefront those thoughts that we may have pushed to the back and look at them and acknowledge and examine them. He talks about testing our limits and overcoming fear, as well as the power of music on changing our environment. He shares a shattering experience in the Himalayas that tested all of these practices and how it was a transformative moment that allowed him to be a happy mess. If you can take his words and truly seek to apply them into your individual life, you will create a richness and a stillness you have been looking for. Listen and be ready to think about how you can implement these powerfully simple practices into your life today. Want to know if this episode it for you? This episode is perfect for someone who is looking for ways on how to integrate stillness and reflection in their life or who is looking to understand more about meditation and how they can start a meditative practice. It is perfect for someone who is busy and would like to work in some mediation or yoga. It is perfect for someone who wants to learn more about mantra yoga and the power of our words. It is also for someone who is ready to examine and acknowledge their thoughts on a path to possibly change.